We offer you multiple lodging options. 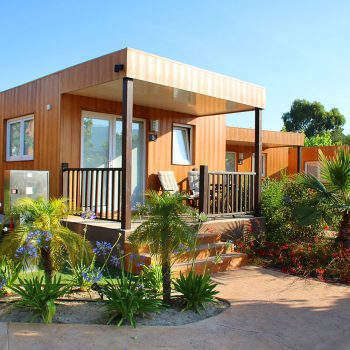 You can enjoy the camping while staying in villas, bungalows, suites, cabañas and Comanches. All these lodging options have everything you need to ensure your comfort: car access and parking spots, pay-to-use WiFi, television, porch or terrace, and each lodging option’s own space, such as the living room or kitchen. 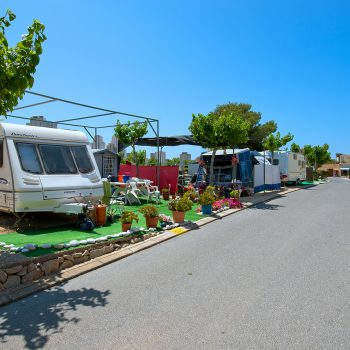 Camping Villasol’s plots are accessible by car, and have a parking spot, electrical connection, TV connection, pay-to-use WiFi and shade. On the other hand, our caravan and motor home options have a service station and chemical WC. You are guaranteed a fun time with us, and that your children will enjoy their holiday. We offer different activities for children, such as the MiniClub, sport competitions, team games, pool activities, workshops or contests, and, of course, entertainment for adults. At night, you can also enjoy our nightlife entertainment with live music, magic or karaoke. (*) Entertainment activities are limited to the high season. 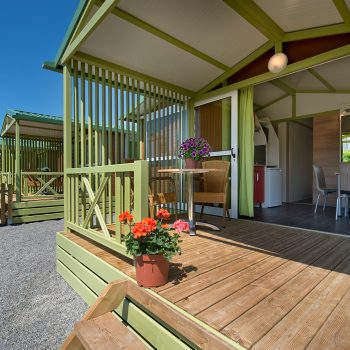 Check dates with reception..
Our campsite has a lake-style outdoor pool with a tropical environment. The pool includes a splash area so children can have completely safe fun. Additionally, during the cooler months, you can take a dip or keep in shape with our heated indoor pool. You can stay in shape at our camping in Benidorm and have a blast on our basketball court, in our swimming pool or on the petanque pitches. Also, don’t forget our camping’s entertainment and activities, such as water dancing and aquagym sessions. 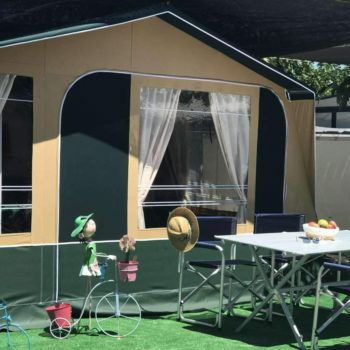 Our camping has all the services you need to make your stay as comfortable as possible: restaurant and cafeteria with terrace, social club with a mini-library, laundromat and car wash, supermarket with national and international press, cash point and WiFi in main areas. All of this also comes along with basic services, such as the WC buildings with heating and hot water, baby bathtubs, sink buildings and gas service. At Benidorm, you can enjoy different activities like hiking, horseback riding, karting, 4×4 outings, golf, etc., and discover all its hidden nooks and crannies with the city bus. Benidorm’s beaches offer water sports, and in the city, you have the theme park Terra Mítica, the water parks AquaNatura and Aqualandia, and the zoos Terra Natura and Mundomar. For nightlife, you can visit the clubbing area in Benidorm, or enjoy spectacular dinners at the Benidorm Palace.